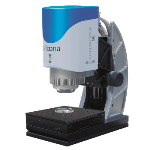 μCMM is the most accurate purely optical micro-coordinate measuring system in its class. 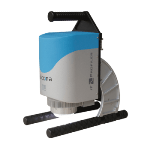 Users benefit from the advantages of tactile coordinate measuring technology and optical surface measuring technology. 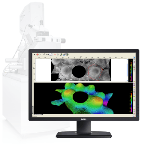 The dimension, position, shape and roughness of components can be measured with only one sensor. 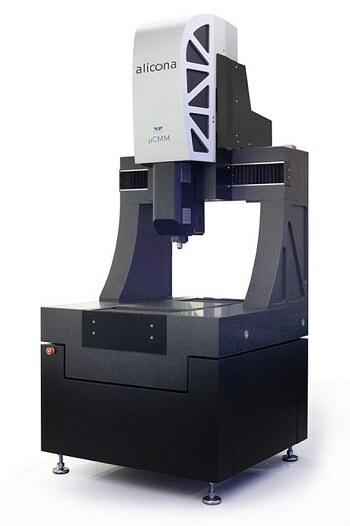 The optical CMM provides high geometric accuracy of several optical 3D measurements in relation to each other, allowing for the measurement of small surface details on large components and the precise determination of the position of these individual measurements in relation to each other. The spectrum of measurable surfaces includes all common industrial materials and composites such as plastics, CFRP, PCD, ceramics, silicon and chrome. 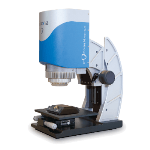 From matte to polished materials, reflective components can be measured. 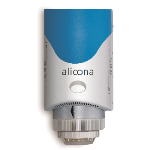 Simple operation is implemented by single-button solutions, automation and ergonomic control elements such as a specially designed controller. 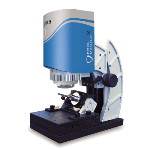 Air-bearing axes with linear drive enable wear-free use and highly accurate, fast measurements. This makes μCMM ideal for permanent use in production, too. The spectrum of measurable surfaces is largely material-independent and includes all materials and composites regularly used in the industry, from matte to polished or mirrored components. 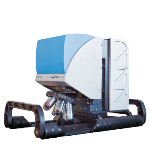 All components, including the moving axes, operate contact-free. 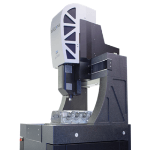 Air-bearing linear drive axes enable wear-free operation and high precision, fast measurement. μCMMis ideal for permanent use in production. 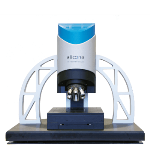 Alicona measurement systems offer the functionalities of a surface - as well as a coordinate measurement system combined into one system. As a result, your quality assurance becomes more cost effective, is easier to execute and delivers results more efficiently.